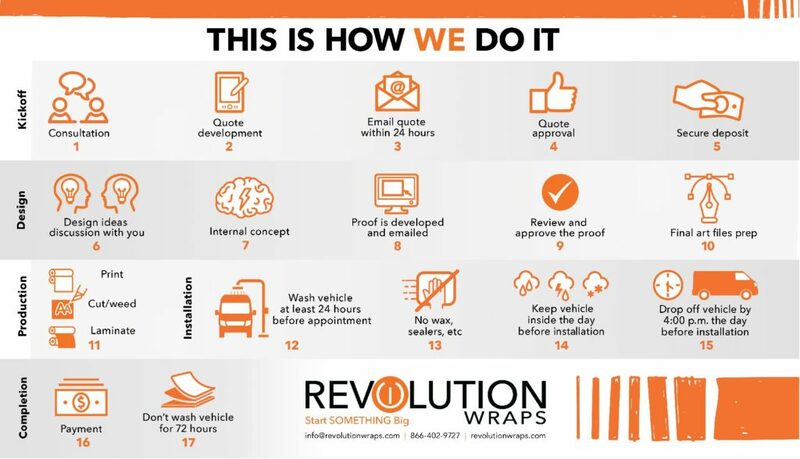 Revolution Wraps does everything in-house including custom design, production and installation. Whether you know precisely the look wanted for your wrap or if the canvas is blank, our team will get an understanding of you, your company and your marketing goals in order to create an impactful design that will resonate with your target audience. To ensure the highest quality, our wrap installers always use standard vinyl installation procedures set by major graphics corporations like Avery, 3M, Oracal, Arlon or UASG..